My luck has changed. Again. My father warned me about changing luck. Once The Departed left, he said, I would no longer be the recipient of all his bad karma. I forget exactly how he explained it, but somehow, some people are able to vector off their bad karma onto others for a while. So while The Departed and I were together, I got what was coming to him, and a lot of what should have been coming to me, in turn, got vectored off. I’m not sure where and I don’t quite understand how. I’m pretty sure I don’t remember it in the vows. Then again, it was Vegas, so I wouldn’t swear to that. Anyway, I entered a drawing over on The Country Cleaver, which you should totally read if you are in need of some foodie inspiration – and I won a cookbook. I didn’t even pay attention to what the drawing was for, because I never win stuff. I’m not lucky – at least, I don’t have the kind of good luck that involves winning things anyone would actually want. Except that not only did I win it, it showed up at my house in a HUGE box two weeks later. And not only that, it is glorious. I won a copy of The Cook’s Illustrated Cookbook , which is a massive cookbook full of tested recipes and explanations of the techniques used for each and why to use them. From what I’ve seen so far, the recipes aren’t really fussy: I was absurdly thrilled to find a recipe for the best deviled eggs. The Child and I both adore deviled eggs and I’ve never found quite the right recipe; everyone else’s deviled eggs are infinitely better than mine, and I feel silly asking for a copy of such a simple recipe. I spent the better portion of an hour putting sticky notes that read “must try!” on the soup chapter. 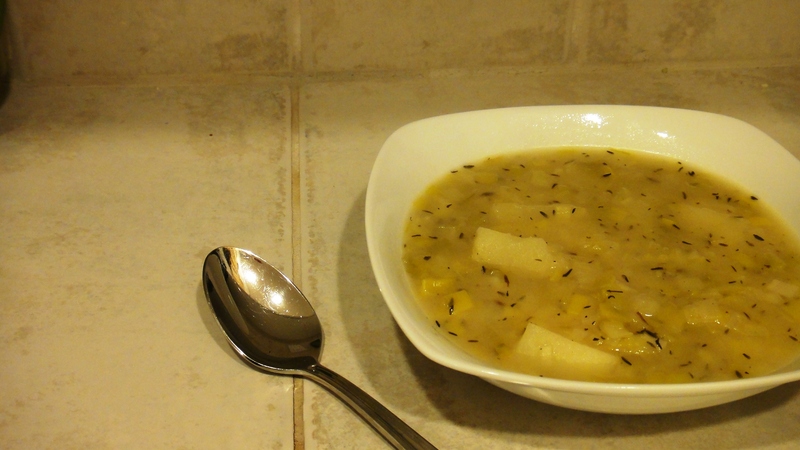 One recipe in particular jumped out at me: Country Style Potato Leek Soup. My grandma used to make me potato soup when I was sick. I don’t have her recipe and I doubt she actually had one, and there are days when I miss it so much it makes me ache with yearning. This isn’t her recipe, but it is a very good one: A bowl of simple comfort. Melt butter in Dutch oven over medium-low heat. Stir in leeks, increase heat to medium, cover, and cook, stirring occasionally. Cook 15-20 minutes, until leeks are tender; do not brown. Sprinkle flour over leeks and cook until flour dissolves, about 2 minutes. Increase heat to high and gradually add broth, whisking constantly. Add bay leaf and potatoes, cover, and bring to boil. 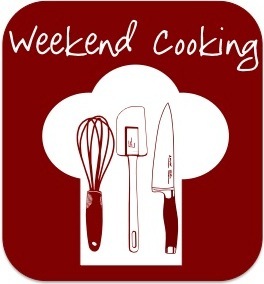 Reduce heat to medium-low and simmer until potatoes are almost tender, 5-7 minutes. Remove from heat and let sit 10 to 15 minutes, until potatoes are tender and flavors meld. Discard bay leaf; season with salt and pepper. The recipe suggests using red potatoes, but I used russet. It also calls for chicken broth, while I used vegetable broth because The Child doesn't eat meat. Finally, although I technically had bay leaves on hand, they were two years past the expiration date and thus, seemed an unwise choice; I tossed in some fairly fresh thyme instead and it was delicious. Oh boy, you’re done for now. You’ve tasted the American Test Kitchen KoolAid and your life won’t be the same again. 🙂 I love that cookbook. I love The Cook’s Illustrated. And that soup looks awesome. Glad you’ve got good karma coming your way. This recipe looks delicious, I’m pinning it now.